Sitting on a double-digit loss that is the deepest in his firm&apos;s history, billionaire investor Bill Ackman on Tuesday told investors that he made mistakes last year in not cutting two big positions but said he sees plenty of new investment opportunities. Ackman, whose Pershing Square Capital Management lost between 16 percent and 20 percent in its funds in 2015, said it was a "very costly" mistake that he did not sell drug maker Valeant Pharmaceuticals International Inc when the stock price rose to $200 over the summer...Similarly, he feels the firm should have cut its stake in Canadian Pacific when it reached Canadian $240 per share and he said it was a mistake to buy more shares in Platform Specialty Products at $25 a share to help the company finance an acquisition. Germany’s largest bank hasn’t disclosed results of those two securities businesses ahead of its earnings report scheduled Thursday. But it warned last week of a year-on-year decline in fourth-quarter revenue in its investment bank, citing “challenging market conditions.” The disclosure jarred investors, helping send the bank’s shares to their lowest level since 2009. The shares are down 25% this year, compared with around 15% for the Stoxx Europe 600 index of banks. 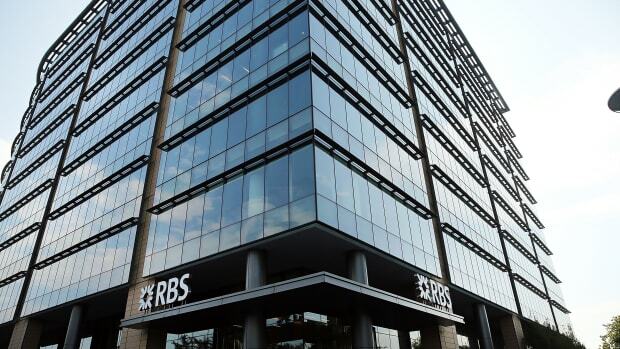 The Royal Bank of Scotland said on Wednesday that it would report an annual loss for 2015 after taking a series of charges to close a deficit in its pension plan and to resolve past misconduct. Insurance giant AIG, rejecting Icahn’s calls to split itself into three separate businesses, said Tuesday it will take smaller steps to unlock shareholder value. 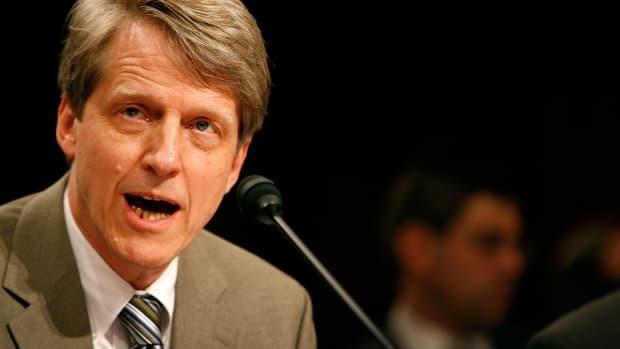 The measures include spinning off 19.9 percent of United Guaranty Corp., its mortgage insurance unit, returning $25 billion to shareholders over the next two years in stock buybacks and dividends, and reorganizing the company into nine different operating units. Now “is not the time to be shortsighted and simply react to the demands of those who challenge us,” AIG President and Chief Executive Peter Hancock said in a memo to employees — in an obvious dig at Icahn. A Nepalese woman has defied science by living to the ripe old age of 112 — despite her 30-cigarette-a-day habit. Batuli Lamichhane says she’s been puffing butts for the past 95 years, and she has an unusual technique to get her nicotine fix. Instead of holding a cigarette with her index and middle finger, Lamichhane uses her entire right fist, which she then holds to her mouth to inhale. “I don’t really care how old I am,” she said. “But I am old nonetheless. I have seen a lot of things change during my lifetime.” She’ll turn 113 in March. Traders are banking on a repeat of September, when the central bank said “global economic and financial developments may restrain economic activity somewhat” after a surprise devaluation of China’s currency roiled global markets. The Fed stood pat in September, and Wall Street anticipates the same result on Wednesday. Professional money managers gathered at an elite Morgan Stanley investment conference in Palm Beach, Florida this week expressed a range of pessimistic market views, including so-called bearish takes on the energy sector, China, and stocks such as Valeant Pharmaceuticals and SolarCity. According to investigators, Patrick McDonald, 67, was driving Shane Fabry and other passengers home around 8 PM when Fabry asked McDonald to pull the car over “in the event that he began to vomit.” After McDonald stopped the auto, Fabry, 27, advised that he was “feeling better and no longer felt like he was going to be sick.” McDonald, however, apparently did not want to take any chances. The driver “told the victim that he needed to get out the car and he was not to throw up” in the $75,000 Lexus. Upon opening the rear passenger door, McDonald “attempted to pull the victim out of the car by grabbing his left arm,” a Manatee County Sheriff’s Office deputy alleged. During the argument that ensued, McDonald first took an “aggressive fighting stance” and then reached into the car and “produced a black semi-automatic handgun,” according to a probable cause affidavit. RBS rises like a phoenix from its ashes; Ackman has a sad; T Rex was a sensitive lover; and more. All signs point to December rate lift; Ackman down big; AIG; Match; Square; "Klingon Sword Brandished In Trekkie Trash Dispute, Cops Say"; and more.